A soft, peachy flesh tone with a matte finish. 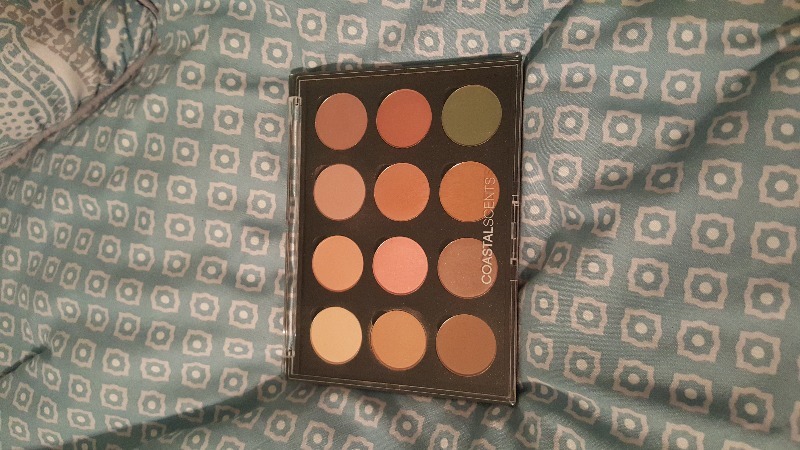 Every eyeshadow palette i have bought are high end and they only have a few transition shades which i hate,i decided to buy a couple of coastal scents eyeshadow pots when they were on sale to create my custom transition shade palette and what can i say..Iam a very happy girl! These eyeshadows are affordable,pigmented and very blendable with no fallout whatsoever,Thank you coastal scents. This is a perfect pinky-brown matte shadow. The quality and texture are wonderful. So close to my skin color and great as a transition shade with no fallout at all!